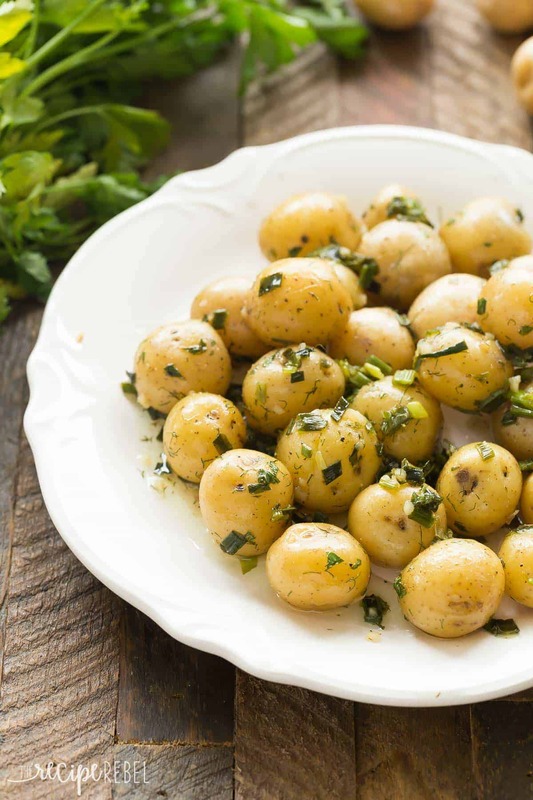 This no mayo Garlic Herb Potato Salad is great warm or cold — the perfect make ahead side dish for summer barbecues, loaded with fresh herbs! Includes step by step recipe video. I know that maybe it seems a little strange to see me get excited about this no mayo potato salad after I shared this Classic Potato Salad with Bacon two short months ago, but grilling weather is at least a few months here in Manitoba and a girl’s gotta have options, right?!? I do love potato salad with mayo (even though I’ve confessed over and over that I despise mayo and it’s the only way I’ll eat it). But this no mayo option is just as good and has tons of flavor from fresh herbs — such a great way to dig into your stash this summer! There are so many things I love about this deliciousness right here. You’ve got allllll the herbs (and you can mix it up and use whatever you have or whatever you like! Add basil, thyme, whatever you’ve got on hand!). Plus, herbs add a ton of flavor and pretty much zero calories (perfect for swimsuit season!). A super simple dressing with just a touch of tang and a touch of sweetness — it’s really light and mild in flavor. Garlic (call me crazy if you want — I love my garlic in everything!). The creamiest, most delicious Little Potatoes — for this recipe I used Baby Boomers because I love them boiled. They are so soft and fluffy inside, and they’re the perfect base for this super flavorful dressing! 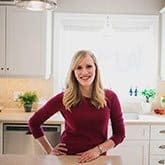 One serving also has only 120 calories, 12% of your daily fibre and 8% of your daily Iron — both super important for this preggo here! And lastly, it’s perfect hot, warm, room temperature or straight from the fridge. Serve it up as a hot side dish fresh out of the pan in the winter with a roast, or serve it cold with grilled meat and veggies in the summer. It’s totally flexible! This recipe is naturally gluten-free, vegetarian (use something else to sweeten and we can call it vegan! ), and dairy free — so it’s perfect for those big potlucks or gatherings! Speaking of this salad being dairy free…. I wouldn’t judge you if you threw in a handful of freshly grated Parmesan cheese — that garlic/herb/Parm combo is out of this world! If your potatoes are a little larger than mine, you may want to halve them just for ease of eating. Feel free to add in your favorite summer veggies: peppers, spinach, kale, cherry tomatoes — fresh or roasted! Pictured above is the entire recipe — for me, this was about 28 Little Potatoes for 340 grams. It can easily serve anywhere from 3-4 people, or a little more or a little less. It’s super easy to double the recipe and use a full 1.5lb/680g bag if you like! This no mayo Garlic Herb Potato Salad is great warm or cold -- the perfect make ahead side dish for summer barbecues, loaded with fresh herbs! Includes step by step recipe video. In a large pot of boiling, salted water, cook potatoes until tender, about 10-13 minutes (I use a sharp knife to test doneness as shown in the video -- it should pierce easily). Drain potatoes and return to pan. In a small bowl, combine oil, vinegar, honey, garlic, salt, pepper, dill, parsley and chives. Add to potatoes in pan, cook and stir over medium heat for 2 minutes to soften garlic and bring flavors together (this cooking is optional, but I prefer to cook the garlic even just for a couple minutes -- if you want to skip this step, feel free to just add to the hot potatoes or use ¼ teaspoon garlic powder). 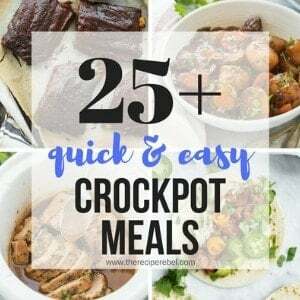 Along with the nutrition information provided, ¼ of this recipe also provides 23% of your Vitamin A, 25% of your Vitamin C, and 10% of your Iron. Thanks to The Little Potato Company for sponsoring this giveaway! 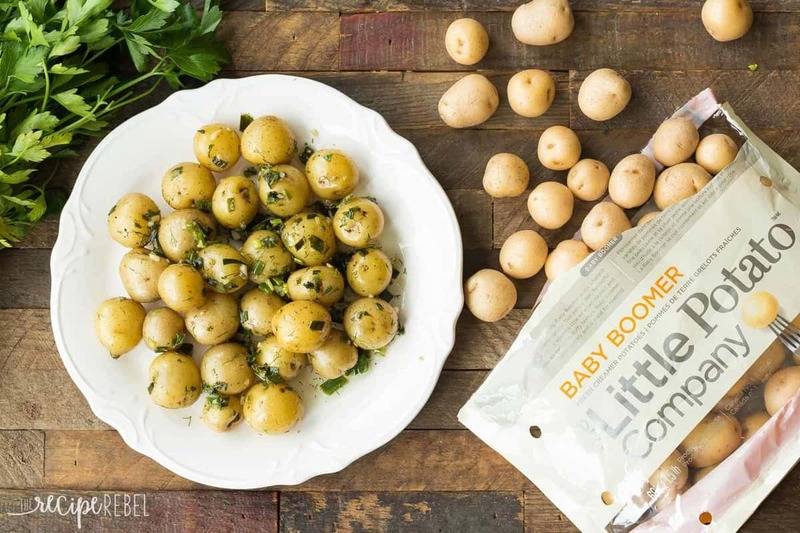 The Little Potato Company wants to give YOU a free month of Little Potatoes —Just leave a comment below telling me how you would enjoy your free Little Potatoes to enter! This giveaway is over. Thanks to everyone who entered! I would probably either use them for this potato salad (sounds scrumptious) or tossed in olive oil and roasted! 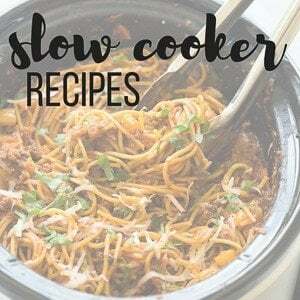 I would definitely try this recipe it looks so easy and delicious ! 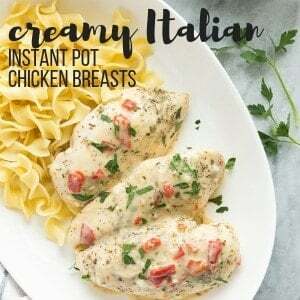 I’d i’d serve them with roast chicken or make crispy smashed potatoes and I am definitely trying this recipe tonight! Definitely trying this recipe. I like to use little potatoes in the crockpot with a beef roast or crispy smashed potatoes. There are a lot of ways that we enjoy these. One of our favorite ways to use the potatos is Crash Hot Potatoes, partly smashed, seasoned with granulated garlic, salt, pepper & thyme. Drizzled with olive oil & oven roasted. My grandchildren love potatoes from the The Little Company, no matter how I fix them. They especially like them seasoned with butter, a little garlic and freshly shaved Parmesan cheese. I love little potatoes on kabobs and in potato salad. Very tasty! We are a potato eating family! I had not seen Little Potato Company products in stores, but will be more aware of them. I like the ease in preparing a potato of tis size. Hope you select me a the winner!. I want to try their recipe for Chicken Fajitas in Foil Packets! 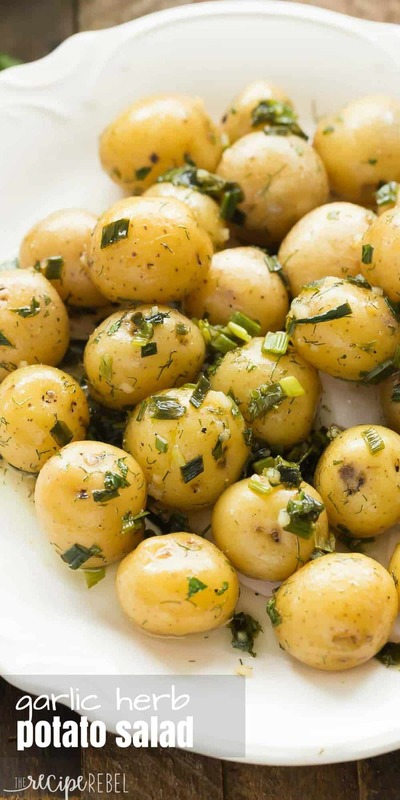 We love these potatoes on the grill, cooked in the microwave first and then smashed and baked. I think I would make this weekly! Grill packets or a garlic parm slightly smashed potato! Roasted and crispy smashed! Thanks for the chance to win. I would try their Cheesy Grilled Potatoes with Bacon recipe. Thank you so much for the giveaway. I would enjoy them every way, all ways starting with fresh. From the bag to my mouth. I would totally be making potato salad!